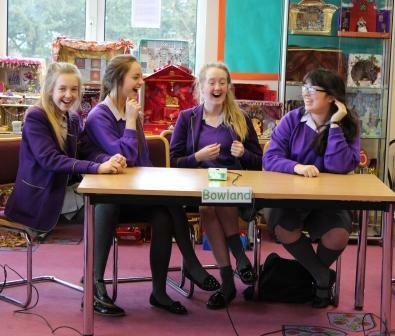 The 2014 House General Knowledge Quiz was hotly contested this week. This year’s questions were slightly more challenging and the quiz took on a University Challenge style format. The girls and boys rose to the challenge and some displayed really excellent knowledge of a variety of topics. The Year 11 and Sixth Form Quiz which took place on Tuesday was especially demanding and these pupils should be particularly commended on their determination and competitive spirit. 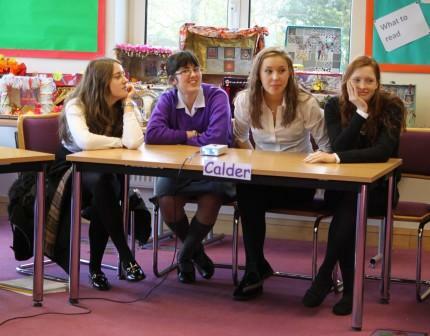 Years 9 and 10 took up the baton on Thursday and they performed well showing good understanding of the questions. Any gaps in their knowledge were plugged by eager audience participation. 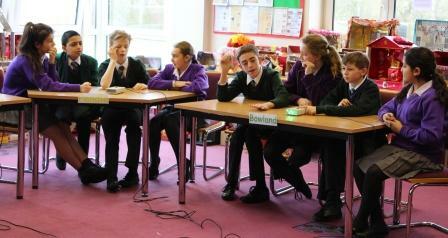 The final round was on Friday and Years 7 and 8 really entered into the competitive spirit of the competition. 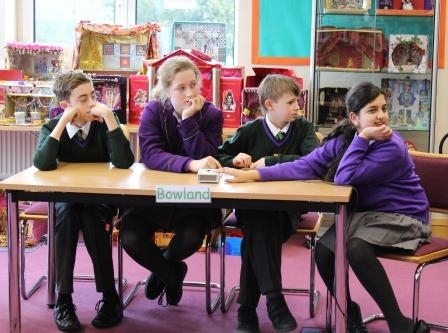 Their enthusiasm was particularly apparent during the bonus round when competitors who were unable to answer could be seen almost bursting with frustration. All participants, both in the audience and on the teams, should be congratulated on their excellent performances. The eagerly anticipated results will be revealed in Assembly next week.